Temperature at our weather stations (128/163). Other variables can be found on our two-dimensional plot page. 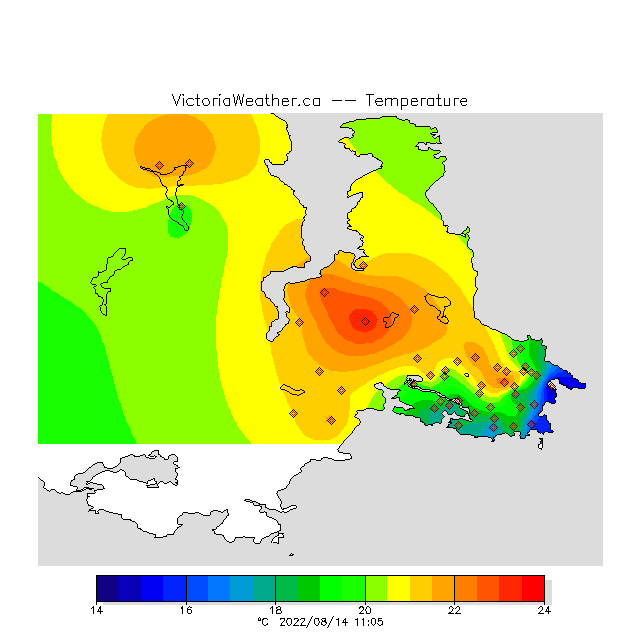 See Victoria, Saanich Peninsula, West Shore, Gulf Islands, Greater Victoria. 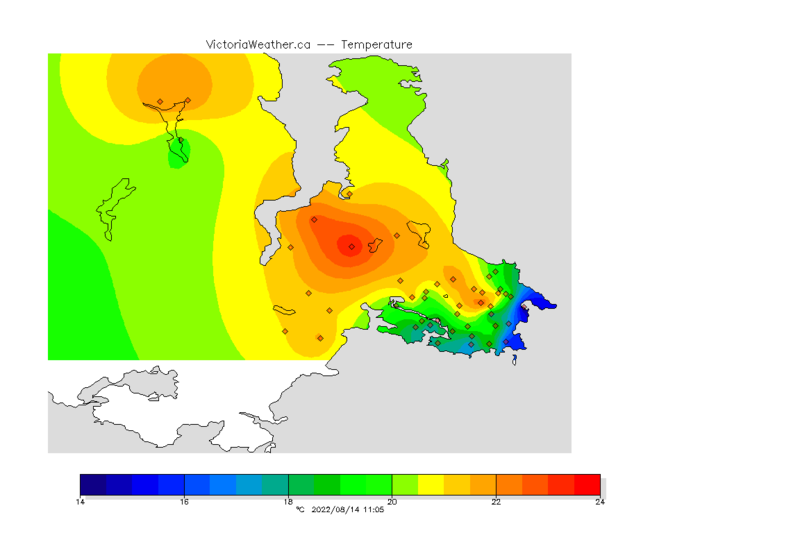 A large version of the temperature map is also available. 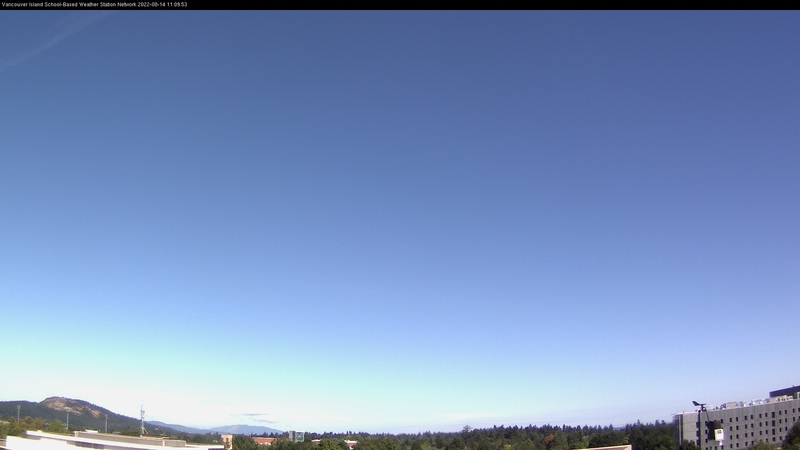 See also: NanaimoWeather.ca, IslandWeather.ca. While Prince Rupert, British Columbia has the fewest thunderstorms days in Canada, 3 per year, it is the wettest city, with a total annual precipitation of 2552 millimetres. Now storing at least 9 036 309 555 observations.